Hi, and welcome to our Vegetarian Kitchen. 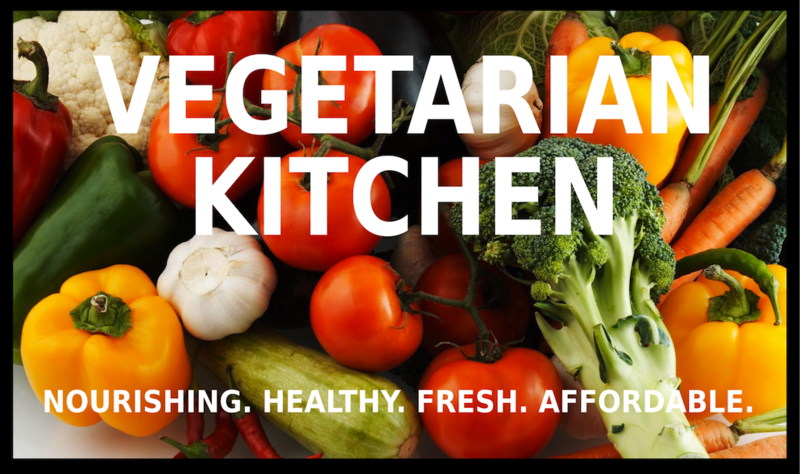 We should perhaps have mentioned that although this is a strictly vegetarian kitchen our recipes are not vegan. One or two, e.g. our special "Chilli Non Carne" and "Spicy Lentil Soup" are suitable for Vegans. The recipe this week is "SPINACH AND CHEESE QUICHE" and as it contains milk and eggs it is not for Vegans. Line a 7" Flan Case or Tin with the pastry. Beat together in a bowl the eggs & cream and add salt and pepper. Add 3oz of the grated cheese leaving 1oz for the topping. Mix well. Spread the spinach over the uncooked pastry. Pour in the egg mixture. Sprinkle remainder of the cheese on top. Bake in oven for 25 - 30 minutes until golden and firm to the touch. Serve a Green Salad - Use a mixture of lettuce leaves, chicory, chopped chives, mint, watercress and even dandelion leaves if you have any. Dress with Vinaigrette (olive oil and lemon juice). This dish is a lovely light lunch or supper.